If you’re planning on participating in a trade show, you’ll need to ensure that the event goes off without a hitch. After all, trade shows require months of planning and an incredible amount of resources, so you can’t run the risk that it might not go according to plan. At AFP Expo–a division of AFP Global Logistics–we have been providing expert trade show logistics support for decades and we’ve learned a thing or two about how to plan a successful event along the way. Keep this checklist with you during the trade show planning process to ensure that your event will be profitable and stress-free. 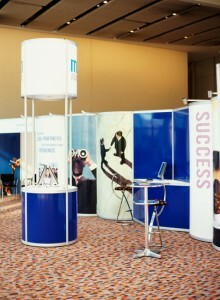 These trade show planning tips can help ensure that your event is a success! Make a calendar of deadlines and schedules. Nothing can kill your dreams of a successful event faster than missing an important deadline, so you’ll need to ensure that everyone involved with planning your trade show is aware of any dates by which certain tasks must be completed. Whether you choose to purchase a wall calendar specifically for the event where you highlight the dates to be aware of or you simply share a Google calendar, be sure your team knows exactly what is expected of them. Meet with your team before the event. Your team will need to be on the same page before the trade show begins, so be sure to convene a meeting where everyone discusses their role and what tasks they will be responsible for. This meeting is also a great time to create a checklist of all of the items that will need to be brought, including freebies, signage, and business cards. Double-check travel logistics. If your trade show is being held out of town, a delayed flight could be enough to ruin all of your plans. Be sure to double-check all of your reservations in advance (including hotels and rental cars, too). For a customized trade show logistics handling experience that places your needs above all else, AFP Global Logistics is the best and only choice! Our AFP Expo division is specifically designed with your trade show needs in mind. For more information or to start designing your own logistic solutions today, get in touch with AFP at 410.590.1234 (toll-free 800.274.9452), email us at info@afplus.com, or fill out our quick and easy contact form here! This entry was posted on Thursday, July 14th, 2016	at 2:31 pm	and is filed under AFP Expo	. You can follow any responses to this entry through the RSS 2.0	feed. Both comments and pings are currently closed.